Mighty Words To Help Virgo Move Forward!  Virgo is one of the most organized zodiac signs and it’s their strongest and weakest point. When you see that others are not so effective as you are you become upset or angry. Your main task is to learn how to be more tolerant to small imperfections and faults of those around you. It’s not so hard as you may think! New romantic opportunities for Virgo. The best places to meet The One for Virgo!